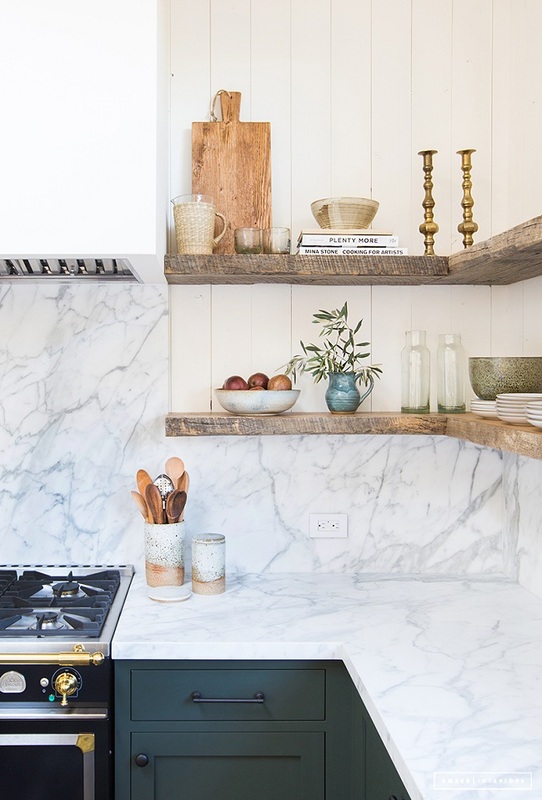 If I had to pick right now, this would be my kitchen of the year. 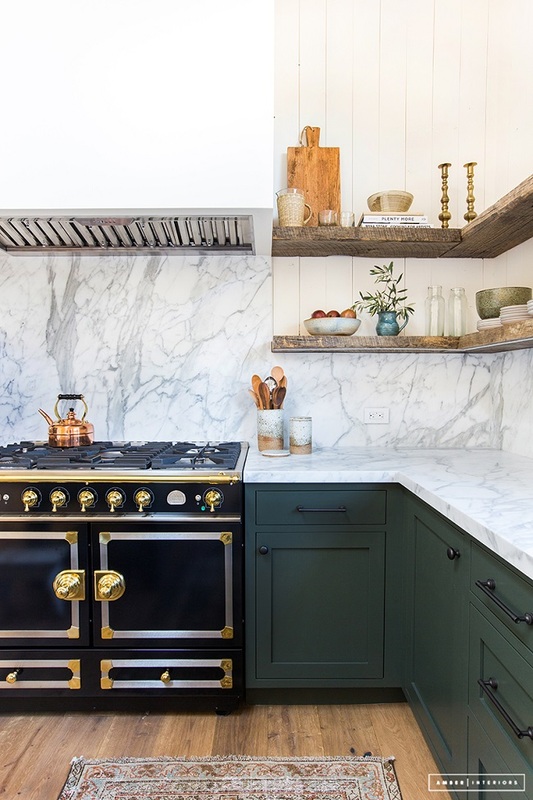 There are a lot of elements I have been thinking about for our kitchen renovation like the moody blue cabinets and, sigh, that black La Cornue stove with the brass knobs (a little too steep for our budget, but so pretty!). 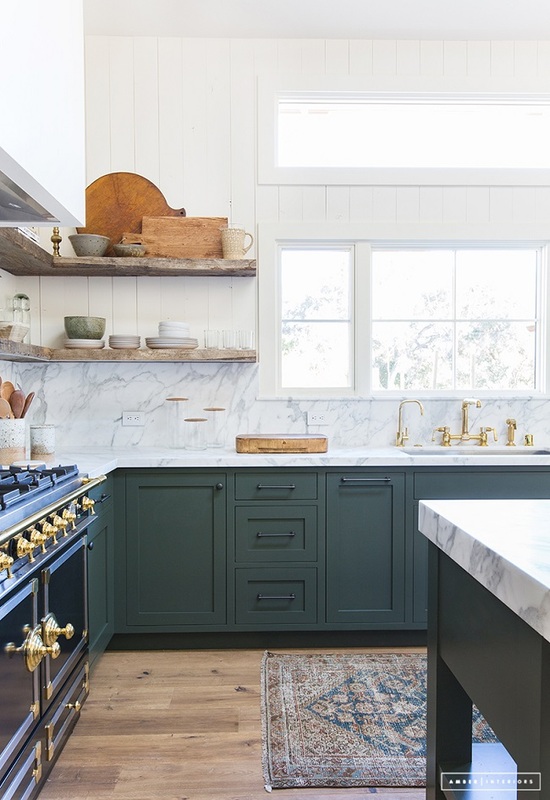 This was a kitchen renovation was done by Amber Interiors, a design firm located in Los Angeles, and the before and after pictures on her blog are a pretty incredible transformation. 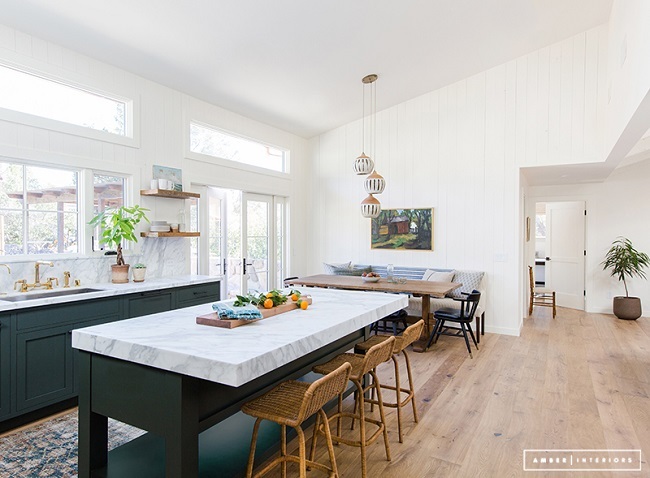 California design has been slowly making it's way into my design style and I've been thinking about how I can incorporate some of the elements into our southern home, post renovation. 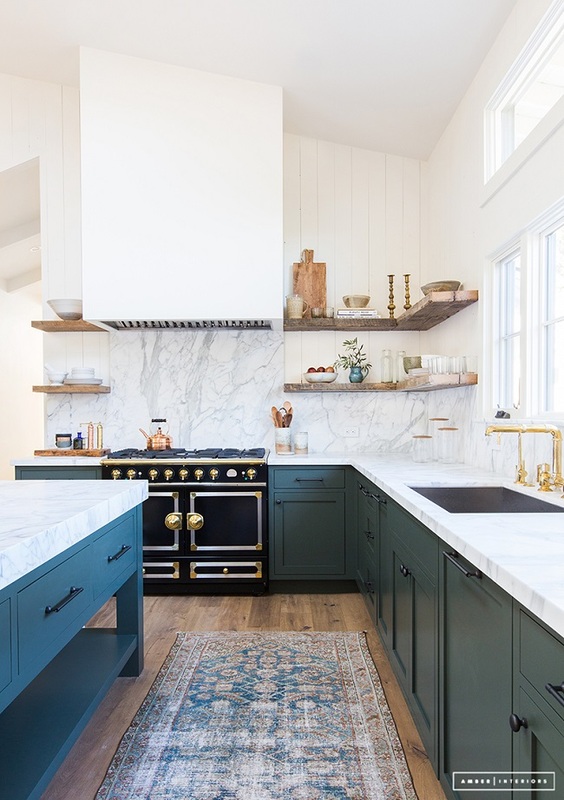 The deep blue cabinet, marble and antique runner seem like transferable elements that work across many different design styles giving it a relaxed but collected feel. What do you think? 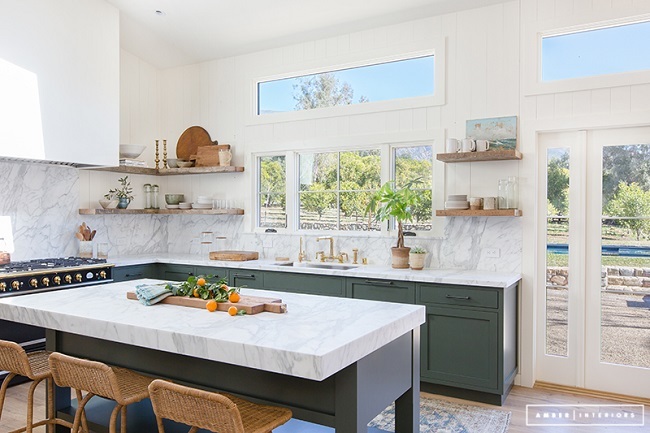 Can a Southern home swing this Cali style? 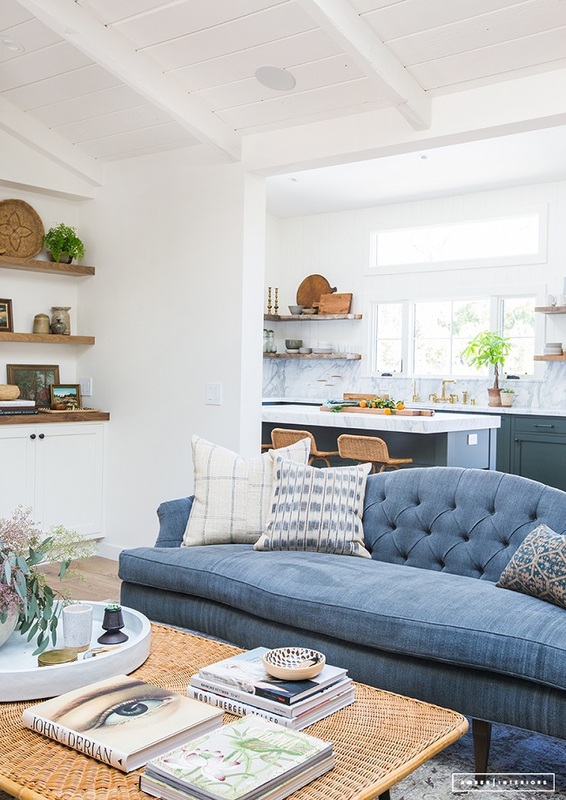 See the full home tour on Amber Interiors.